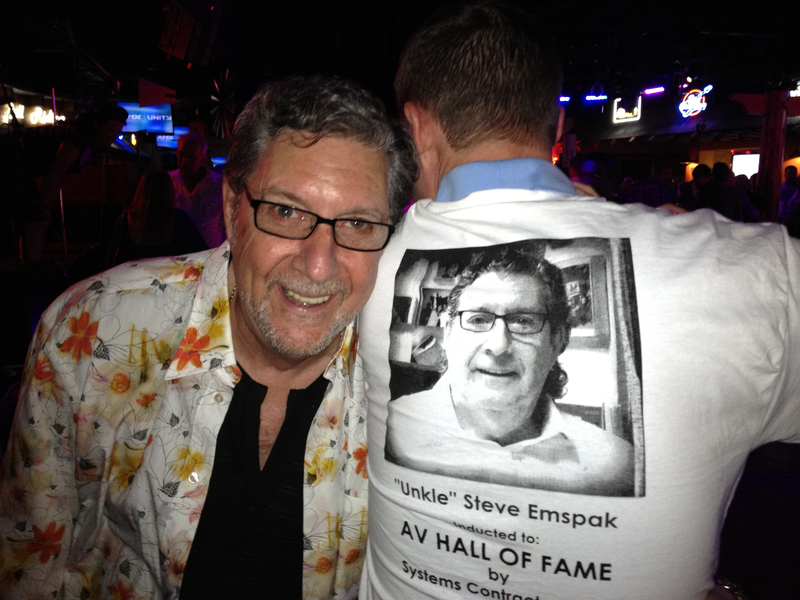 Everyone has a favorite Unkle but for many AV fans, that favorite Unk is Steve Emspak, a well-respected icon in the AV industry and a SCN Hall of Famer. A partner with Shen Milsom & Wilke and more than 40 years of experience in the design and installation of multimedia systems, Steve focuses on the conceptualization and team management of some of the company’s most complex projects. A musician and a member of the International Communications Industries Association, Steve also holds a position on the NSCA Education Foundation Board of Directors. One of the masterful, musical minds behind the formation of the Drunk Unkle band, Steve’s altruistic nature and willingness to help a colleague in need, led him and a handful of other musicians to form the Drunk Unkles. Initially, the band successfully raised money for a widow of a colleague who met with an untimely death. This unfortunate circumstance ironically provided the fuel for the band to stay together, playing gigs now and then around New York City. In 2005 just prior to the New York Audio Engineering Society convention, the Unkles scheduled a gig at The Cutting Room, a venue that they knew well and played from time to time. The afternoon of the gig, Chuck Wilson Executive Director of the NSCA was at Shen Milsom & Wilke discussing the various aspects of the consulting community when Steve casually asked what he was dong that evening. And there it all began. The following day Chuck invited the Drunk Unkles to play at the 2006 NSCA Integration Expo and the band has been playing to benefit the NSCA Education Foundation ever since. Appearing every year at InfoComm, the band plays at this annual party with the support of key manufacturers. Co-mingled with his “day job”, Steve works tirelessly to promote the band and it’s core values – helping a worthy cause of one sort or another, whether it be a NYPD officer’s family or the Ulster County SPCA, Steve does whatever he can to help. Steve works around the clock to meet the needs of clients, help fellow colleagues, and for the betterment of the NSCA Education Foundation. Together with the Drunk Unkless, his fundraising efforts are tremendously important to the Foundation. “Unkle” Steve – the man, the myth and the legends are all true…you have NEVER met anyone like him.